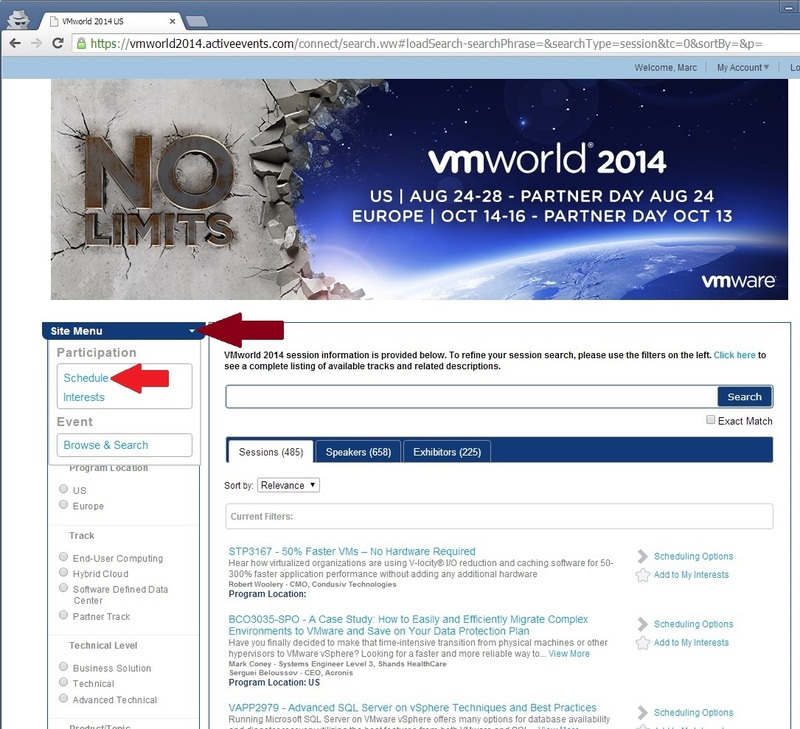 Week 2 VMUG Challange is to explain how VMware Education/Certifications have helped you advance your career. A few years ago I had to opportunity to take the VMware vSphere 4.1 Install, Configure and Manage Class. After taking the class I passed the VCP for exam. Passing the exam gave me the confidence to apply for a Systems Engineer position that was focused on virtualization. 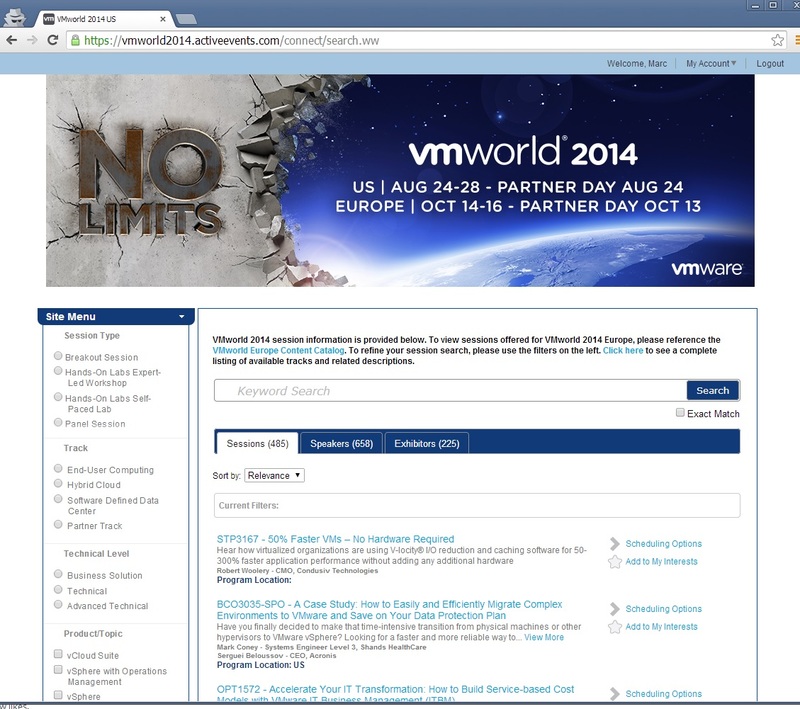 After being in that position a few months I was able to take the vSphere 4 Advanced Fast track. This gave me the knowledge and confidence to pass the VCAP5-DCA exam. Every time I take a class and pass and exam I feel more comfortable and confident in the work that I perform. I am constantly striving to learn more and studying for VCAP5-DCD. A much easier way to build your schedule is to click the little drop down arrow on the site menu on the bar on the left. After clicking on the arrow and window will drop down. Then select schedule. 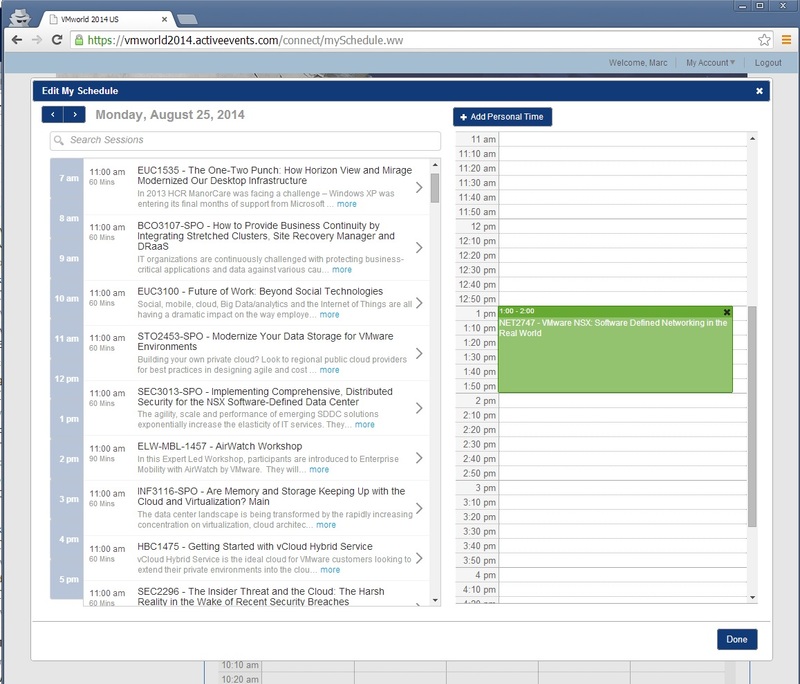 This will bring up your schedule in a calendar format view. From here you can export, print, add personal time and edit your schedule. To edit your schedule, just click on the edit button. 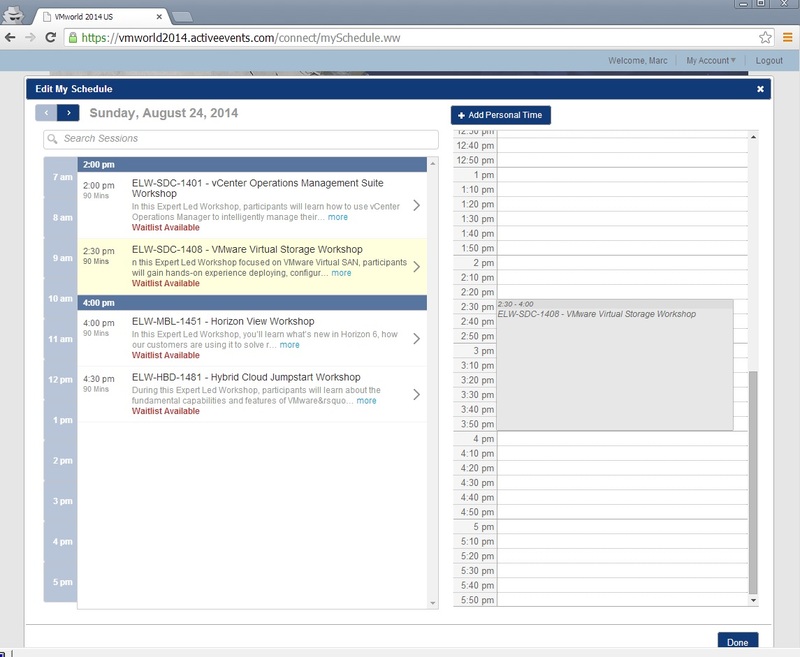 In this view it is much easier to see and edit your schedule by day. If you highlight a session on the left it will show you how it fits into your schedule and if it conflicts with any other sessions you have scheduled. 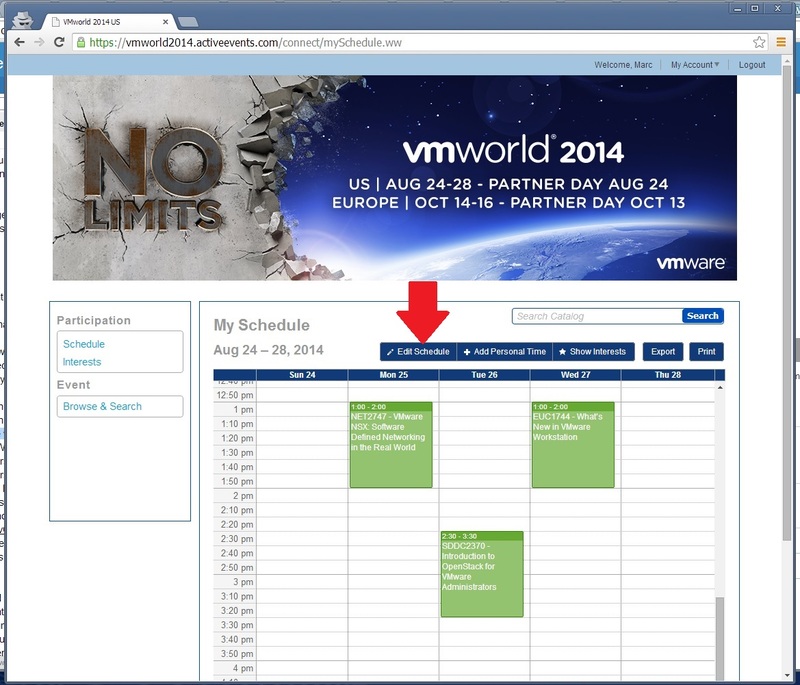 Have fun building your VMworld Schedule!